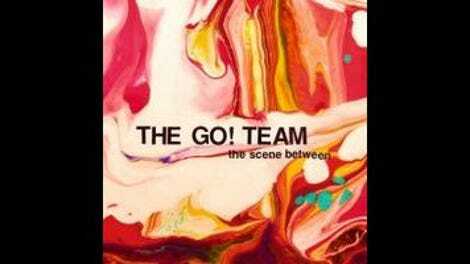 With the dissolution of the group, The Go! Team is no longer much of a team, but the sole remaining teammate has crafted the group’s best album since the release of Thunder, Lightning, Strike back in 2004. Ian Parton has always been the Svengali of the group, singlehandedly creating the first record, and composing the vast majority of the music ever since. But subsequent albums have showcased various members of the group he assembled in the wake of his first album’s success, particularly there-from-the-start MC Ninja, whose hortatory rhymes often pulled Parton’s pop-collage compositions into the 21st century. So the realization that Parton had gone back to his roots—writing, composing, and producing every aspect of the new album as a solo artist—could have seen The Go! Team retreat into the familiarity of its old self. Instead, his muse has taken him further into the sing-along musical past, and The Scene Between is a giddy pop delight. While the last album, 2011’s Rolling Blackouts, split the difference (quite literally) between nuggets of marching band hip-hop revivals and ’60s girl-group pop, Parton has essentially abandoned the call-and-response, cheerleader-rap drum overloads that defined the group. 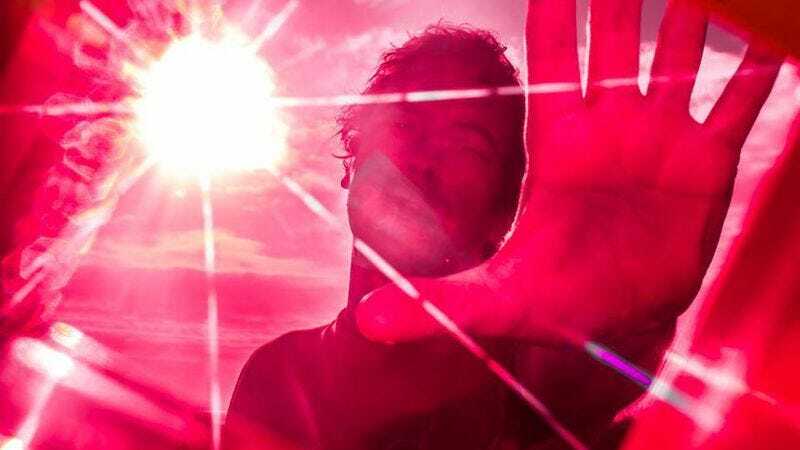 In their place, he has doubled down on the classic pop music confections, creating the band’s most cohesive album to date, an almost uniformly excellent array of soaring harmonies and indie-pop fuzz. Parton has stated that he intended for the record to be “Brill Building hooks but with kind of a wobbly VHS feel,” in which case he has succeeded marvelously. Pop music is rarely this delectable without feeling saccharine, and the major-chord perkiness here is leavened with dense layers of samples and distortions. It’s the least sound collage-esque sound collage imaginable. Nothing here sounds contemporary, but some songs play up the indie rock vibe more than others. “Waking The Jetstream,” “Blowtorch,” and “Catch Me On The Rebound” all bounce along with zippy guitars and earworm vocals, like the addictive Britpop of old welded to the chassis of “Sugarcube”-style Yo La Tengo. “Did You Know?” hews more to the ’60s girl-group end of things, with a doo-wop groove. But all the songs traffic in a bouncy fusion of girl-pop shimmy and indie rock swing. There are a couple of minute-long sound experiments that almost act like palate cleansers in between several tracks; they’re more of a distraction than an enhancement, but are also straightforward enough not to jar the album out of its groove. Parton collaborated with an assortment of little-known female singers for this album, revealing an obvious preference for the breathy, youthful voices of girl groups past. Working with Best Coast’s Bethany Cosentino last time out must have awoken a fierce attachment to the tone he cultivates here. There are no soulful, wise-beyond-her-years voices; just the earnest tones of exuberant youngsters excited to let their voices soar in gauzy harmony. The whole album feels like a celebration of the giddy uncertainties of youth, even the song dedicated to the Heaven’s Gate cult: “The Art Of Getting By” is the closest thing to The Go! Team of old, but the song’s gospel-choir rave-up still feels of a piece with the self-assured, confident vision Parton has crafted. Despite his plunderphonic techniques, he’s a classic pop songwriter, and The Scene Between comes awfully close to being a classic pop album.